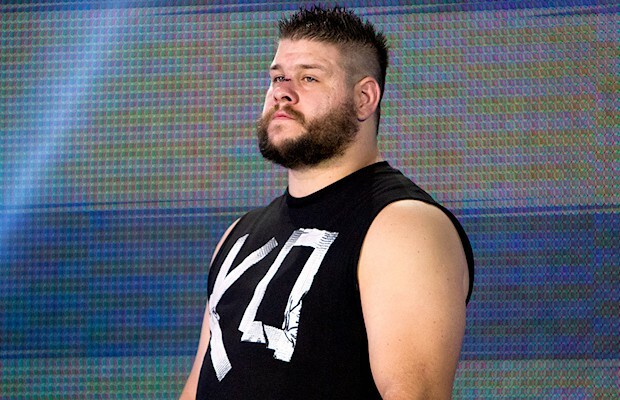 On August 12, 2014, WWE announced the signing of Kevin Steen to its NXT division, joining the list of recent high-profile acquisitions in KENTA and Prince Devitt. Included in the announcement on the company website was a photo of Steen shaking hands with Paul “Triple H” Levesque, WWE’s Executive Vice President, Talent, Live Events and Creative, at the WWE Performance Center in Orlando, Florida. In an interview with the official WWE website, Steen said that one of his appearances for Pro Wrestling Guerrilla in California led to his signing with the sports-entertainment organization. Owens wasted no time in making his presence felt in his debut at WWE NXT TakeOver: R Evolution on December 11, 2014. In the show’s opening contest, Owens obliterated CJ Parker to the delight of NXT fans. The 14-year veteran left an even larger impression later in the night when he attacked newly crowned NXT Champion Sami Zayn following Zayn’s title victory over Adrian Neville. Though Owens initially appeared supportive of his longtime friend, his true intentions were revealed when he powerbombed Zayn onto the ring apron to establish himself as a villain. As a result of Owens’ attack, Zayn had to be stretchered to the backstage area. Following another ferocious attack upon Zayn’s return, the NXT Champion refused to wrestle unless his next contest was against Owens. 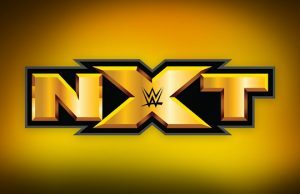 NXT General Manager William Regal granted the irate grappler’s request, but only for a non-title match. When the time came to sign the contract, Owens said he was a prizefighter and would not face off against Zayn unless the NXT Championship was on the line. Desperate for revenge, Zayn agreed put his title on the line at WWE NXT TakeOver: Rival, setting the stage for one of the biggest matches in the history of NXT. At WWE NXT TakeOver: Rival on February 11, 2015, Owens struck Zayn with multiple vicious powerbombs, forcing the official to stop the match by order of WWE medical staff. Owens was awarded the NXT Championship in shocking fashion as the audience at Full Sail University looked on. 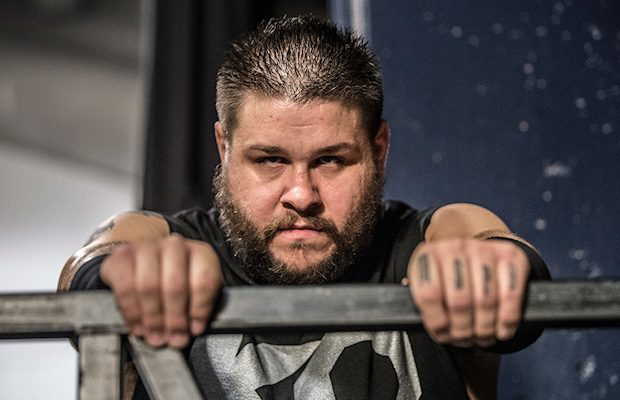 May 30, 2015 – NXT Champion Kevin Owens has been promoted to the WWE main roster and is now advertised for every Monday Night Raw until SummerSlam with the exception of the August 3, 2015 show in San Jose, California and the August 10, 2015 event in Everett, Washington. He is also scheduled for WWE’s Battleground pay-per-view event on July 19, 2015 at Scottrade Center in St. Louis, Missouri and will be competing at live events beginning next weekend. F4WOnline.com reports that Owens has signed a main roster contract and he will continue to appear on WWE NXT for the next couple months until his character is phased off the show. July 21, 2015 – Sunday night at WWE Battleground, Kevin Owens lost his second-straight bout to John Cena, seemingly ending his run as No. 1 contender for the United States Championship. Owens tapped to Cena’s “STF,” surprising many fans, given Owens initial strong booking in the feud. To again explain this: there were two schools of thought on Kevin Owens from the start and the basic gist was that some people thought that he was going to make it and some people thought he wasn’t going to make it, and those who thought he wasn’t going to make it made sure that he got every opportunity to make it or else they would be wrong. You know what I mean? I shouldn’t say they would be wrong, they wouldn’t prove that they were right. So now whether he makes it or he doesn’t make it, there is a game going on and we’re in the middle of the game. Many will recall, Owens triumphantly debuted on WWE television not long before Elimination Chamber, where he promptly beat Cena in a clean finish. This was viewed, per Meltzer, as Owens first opportunity to make it. As has been reported in the past, Vince McMahon has not always been sold on some of the talent coming out of NXT. The developmental system is largely viewed as Triple H’s project, with few of those who have succeeded in NXT actually finding main roster success. This can be evidenced by those such as Bo Dallas, The Ascension and Adam Rose, among others. Last year, it was reported one of the reasons McMahon was not behind some call-ups was because of his right-hand man, Kevin Dunn. 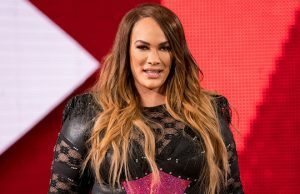 Dunn, who has been one of WWE’s primary producers for more than two decades, was reportedly not big on some of the talent’s looks, which would seemingly fit the bill for the unconventional Owens. It is yet to be seen where Owens booking will go from here, as he has no clear match set in stone for SummerSlam on WWE television.